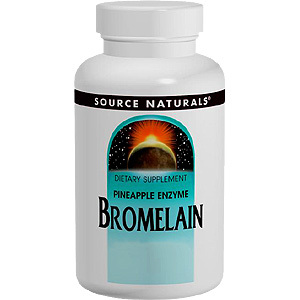 Bromelain is a pineapple enzyme that may help the body in times of physical tension. It is also a digestive enzyme (breaking down proteins) with a wide pH range that is able to function within the acidic atmosphere of the stomach. For breakdown of proteins, one tablet with a meal. For physical stress, one tablet three times daily between meals. 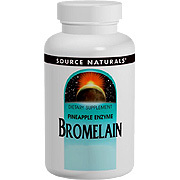 1 tablet contains Bromelain 500 mg (2,000 GDU per gram). Bromelain 500 mg 2000 GDU/G is shipped in a discrete, unmarked package. Orders are processed immediately and usually take about 3 to 5 working days to be received. We do ask that you try it for 2 to 3 weeks to feel the full effects. Any information received is used only for order processing and shipping purposes. Your information, such as e-mail address, will never be disclosed to a third party.